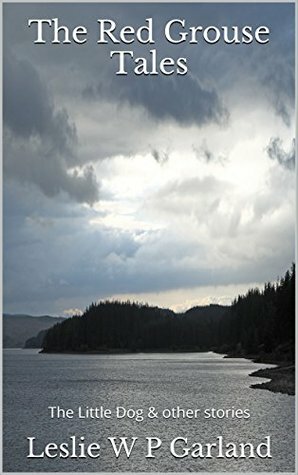 This is a collection of four novellas told at the Red Grouse Inn, so they're all written in a conversational style of one person telling another the story. This is a nested story-within-a-story and sometimes -within-another-story format, which can make it really difficult to get into. Some of the punctuation felt odd as a result, but I'm not sure if some of the oddity of it is because the author is using British English and I'm more used to American English. The four stories are separate yet do somewhat refer back to other stories in the collection; the theme of rumors, judgment, good vs evil and the choices that people make run throughout all of them. "The Little Dog" especially seems to take its time winding up to a point, and it doesn't quite feel as though we get good explanations for why the other foresters feel off about Stan. His actions are never explained, and the dog of the title remains a mystery as well. There is definitely a supernatural feel to it, a little bit of the otherworldly laid over the reality we know. That sense continues through the other stories of the collection, though in "The Crow" it seems more creepy and demonic. The nested storytelling is more convoluted in this tale, which made it harder for me to approach the events or feel any kind of emotional connection. There's far less of that in the final two stories, "The White Hart" and "The Golden Tup." It's far easier for me to understand the stories and the interweaving of conversation and existential discussions. Both of these stories have a heartbreaking element to it, though "The White Hart" feels more hopeful and possibly would have been a more uplifting way to conclude the collection.